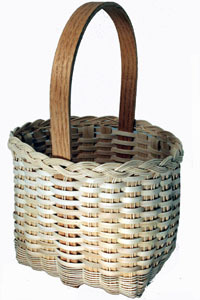 This beautiful Garden Basket is made with flat reed body and a very easy round reed border. 8 x 8.5" at rim, 13" tall, 6x7" base. Includes a 6x13" oak Tulip D handle.